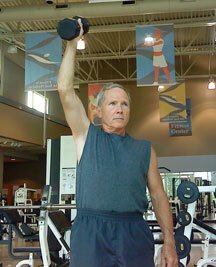 In February of �11, Dr. Cole replaced my right shoulder with a reverse ball and socket replacement. This surgery was much different from the previous (rotator cuff repair) in that the rehab was faster, easier and less painful. The worse part may have been the effects of having general anesthesia. My rehab progressed quickly, compared to my rotator cuff tear. I experienced almost no resting pain. All of the joint pain that I had before is gone, and my range of motion is almost back to normal. Dr. Cole and his staff are the most conscientious and considerate health care providers that I have ever had. They are very accessible. When I have a question, I can email Kyle or Natalie and get an answer within hours or less. Dr. Cole�s staff is also very organized and very customer oriented. They have been kind and respectful to me.